Karen Squirrel, a waitress at Mrs. Wooddebby’s UHop restaurant, lives in a big oak tree next to Clarence and Dorothy’s house with her sisters, Sharon and Susan, and eight year old niece, Suzy. Karen loves her little family and dotes on her niece. She is a fashionable squirrel who wears her blonde hair piled high on her head and is a frequent visitor to The Grama Catbird Nail and Claw Spa. 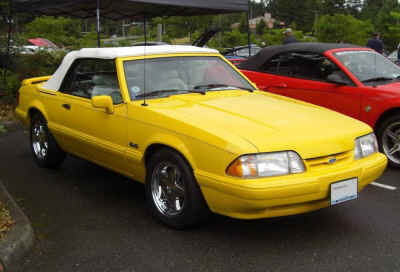 Her canary yellow convertible “Baby” is her pride and joy. She drives Baby to the beach, to church, to bowling and to the Garden Club, but seldom more than two miles away. She takes Baby to Brian Bluejay and Kenny Catbirds’ garage for oil changes, servicing and to fix anything that sounds “funny.” Karen avoids dirt roads and parks Baby in the same tree on the ground floor. One day, way down in the fall, when it was cold in Mewville Beach, Karen and Baby were driving Suzy and the neighbor children Ernestine and Timmy to school when her cell phone rang. “Mother, I’m so glad to hear from you,” said Karen. Karen dropped them off and they trudged in to their lessons. Miss K. drove Baby home to share the conversation with her sisters. “Mother’s not happy in the nursing home,” said Sharon. “Let’s go and get her,” was twin Susan’s thought. Mother’s room was finished and Karen and Baby took off for Gnawlens, Louisiana, and the Forgotten Acorn Rest Home. Brian Bluejay thought it best to go along to help Karen navigate and in case Baby needed his expertise. Dorothy Devine had packed a basket full of good food for her two friends; peanut muffins, corn on the cob, black oil sunflower seeds, and Diane Mole’s freeze-dried mushrooms. Susan Squirrel gave them her acorn stash and Brian brought a cooler full of beer. No one but Karen had ever driven Baby. The ride up the turnpike and through the Panhandle was pretty uneventful, but the USS Alabama in Mobile, built during World War II, was a must-see. Karen took the impressive inside tour. The Alabama weighs 45,000 tons ,and has both gun turrets and anti-aircraft guns. She was amazed to see a hospital, theater, 24-hour mess hall, even a cobbler’s shop; everything in a city on the water for 2300 men, men who fought to keep our country free. Brian flew all around the huge ship which is two football fields long. After their tours, they met in the parking lot, humbled. Brian had a beer, Karen had a water and they shared some sunflower seeds. “Off to Gnawlens!” Karen was rested and recharged. Baby drove through the gates of the Forgotten Acorn and pulled up to the front door. “I’m here to get my mother,” said the little blonde haired rodent to the big green alligator sitting behind the concierge desk. “And we mean business,” said the puffed up bluejay. The reptile didn’t want any trouble. “Rita Squirrel, paging Rita Squirrel, your daughter’s here,” and down the hall appeared an older, smaller version of Karen wearing lipstick and eye shadow, gold jewelry, diamond rings, beaded pink strapped sandals and carrying a stylish Coach purse. She was pushing a wheeled luggage cart with two suitcases, a backpack, a makeup case, a chandelier, a boxed Wedgwood tea set, a bag full of fringed damask tablecloths and napkins, a tennis racket, a golf bag full of clubs, and two pairs of roller skates. Karen recognized the tiny voice as soon as the elevator door had opened. “Here I am Mother,” said Karen Margaret, running down the hall with Brian in tow. “Pleased to meet you, Mrs. Squirrel,” he exclaimed while looking over the bulging luggage cart. “My goodness, what a nice jaybird,” Rita said. “I’ll send for the rest,” she told her apprehensive daughter. It took three hours for two squirrels and a bird to load up baby. The trek back was uneventful, crowded and unseasonably cold. 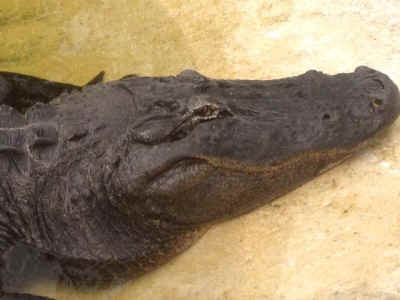 To make room for Rita’s golf bag, Brian left his cooler with the elated alligator. The trio reached Mewville at three in the morning, but the neighborhood, being on alert since three in the afternoon, was camped out in the yard, the oak tree, and the Devine house. Everyone was fast asleep except Clarence, who came home early from his night watchman job. Rita’s tiny little voice rose above all the snoring and heavy breathing..
Suzy scampered down the tree and leaped into Grams’ arms. Ernestine and Timmy excitedly jumped up and down, “Grams, Grams,” until Grams had her arms full with all three little ones. Everyone was exhausted, and decided to unload Baby after the sun came up. The adults all circled the canary yellow convertible and sang and laughed and prayed together and it was good. Help those who need it, next time it might be your turn.